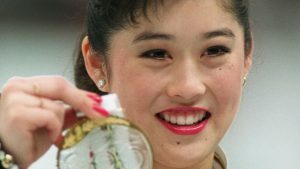 Kristi Yamaguchi is one of the great historical figures in our sport, not only because she was national, world and Olympic champion and winner of Dancing With The Stars, but also because she is a successful wife, mother, author, and humanitarian. 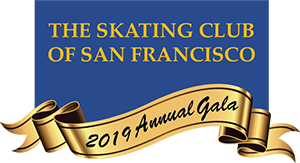 The Skating Club of San Francisco proudly honored the Bay Area’s own Kristi Yamaguchi and her family at its 2019 Gala on March 30, 2019. The sold-out event was a great success. 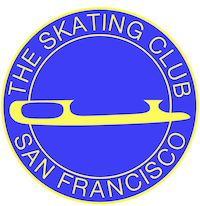 Kristi was joined by skaters belonging to our Bay Area community, including US Junior Dance Champion Anthony Ponomarenko and his partner Christina Carriera, US Junior Silver Medalist Dinh Tran, US Pairs Silver Medalist Sarah Feng and her partner TJ Nyman, and US National competitors Emilia Murdock, Sierra Venetta, Kate Wang and Team USA Members. The highlight of the evening was a special guest appearance by the 2019 US Champion, ALYSA LIU. 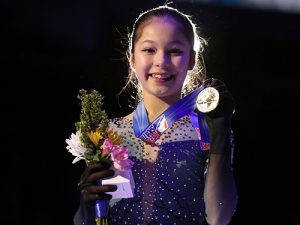 At age 13, Alysa is the youngest skater ever to win this title taking the honor from Tara Lipinski. Come join us to celebrate our friends Alysa, her coach, Laura, and Team Liu, for their extraordinary accomplishment.